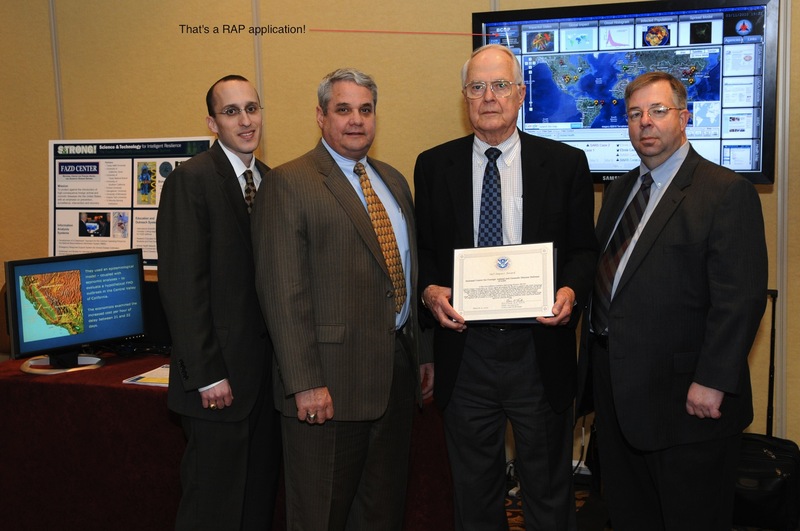 I was just notified by a friend that an Eclipse-based Rich Ajax Platform (RAP) application won the U.S. Department of Homeland Security (DHS) Science and Technology Impact Award! The application that one was featured in Austin Riddle’s EclipseCon 2010 presentation, entitled Eclipse to the Rescue. The application provides immediate access to crucial, real-time information concerning biological events around the world. It’s always nice to see Eclipse-based applications having a positive impact at a government level and winning awards while doing it.